A man who hardly needs any introduction on these pages, Satoru Iwata became president of Nintendo back in 2002, overseeing a truly golden era for the company with the releases of consoles such as the Nintendo DS and Wii. Today marks the third anniversary of his passing on 11th July 2015. Iwata-san's main objective throughout his 13-year tenure as Nintendo president was to achieve a "gaming population expansion by offering compelling products that anyone can enjoy, regardless of age, gender or gaming experience", with the company holding on to a philosophy of placing conceptual ideas and experiences ahead of raw processing and graphical power. The result of this was the gaming experiences made possible through those two consoles, with the Nintendo DS' dual-screen approach and touchscreen, as well as the Wii's affordable motion control, acting as revolutionary steps within the industry. These consoles offered unique ways to play games at affordable prices, grabbing the attention of gaming fans around the world, and both went on to be huge successes selling over 150 million and 100 million units respectively. It could be argued that the reason fans have so much love and respect for Mr Iwata isn't thanks to these early successes, however, but rather because of his tremendous personality and warmth that shone through in every Nintendo Direct presentation or interview. He was a man who added a wonderful level of kindness and light-heartedness into a rapidly growing and fierce industry, and a business figure who somehow felt entirely relatable. Once again, thank you Iwata-san. RIP, Iwata-Sama; your contributions will stand the test of time and we thank you for all of your hard work and dedication. Iwata gone but never forgotten. What a great man he was for Nintendo, his influences definitely drew me back into Nintendo games. Thanks Iwata-san for overseeing the early (or even late) stages of the Switch. It's unfortunate you left before witnessing its successful launch. RIP. Never too late to re-watch this. Loved getting to see him through the Nintendo Directs and being just a "normal" guy. Not a corporate suit. One of the best things Nintendo has done (with the directs) so we get to see the personalities that are making the decisions. I remember the day well. I regularly keep up with Nintendo news from sites like Nintendo Life and GameXplain, but I learned of Iwata's tragic passing on Facebook of all places, as it was a trending news topic. Reading the words "Satoru Iwata dead at 55" left me with the same body-numbing sensation--a rush of cold then heat down my spine--you'd expect to feel after the sudden death of someone you cared about closely. 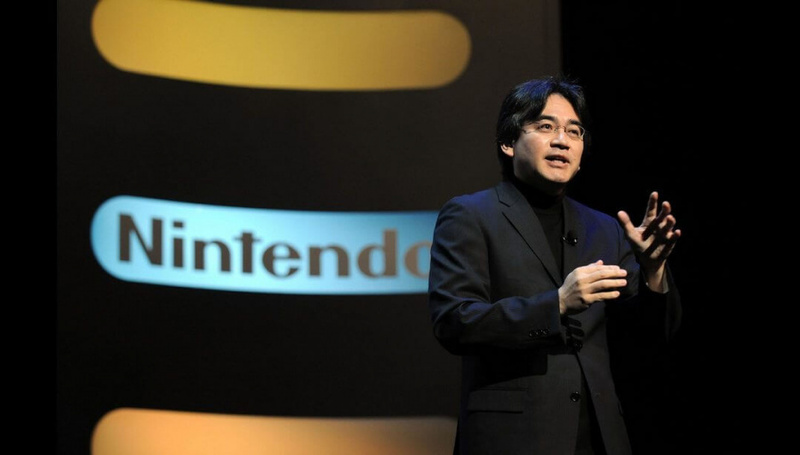 I would never have imagined the death of a CEO could make me feel such a way, but Iwata was different. I watched Nintendo Directs largely in part for the new game announcements, but also for Iwata's charisma. He made me feel like a little kid happily tuning in to watch Barney the Dinosaur. He always seemed like such a down-to-earth guy and was of course one of the most ingenious and innovative minds in the industry. I still get excited to see a new Nintendo Direct, but so much of their charm died with Iwata. I watch them solely for the announcements, as the days of fun, quirky skits are sadly over. Yoshiaki Koizumi has taken the forefront lately as the face of Nintendo Directs, and in him I see Iwata's same spirit of innovation and passion, as well as that same humility. There will only be one Iwata, but people like Koizumi help me rest easy knowing Nintendo is in good hands. I think Ash Paulsen of GameXplain summed it up best after Iwata's death in saying, (and this is paraphrased), "Losing Iwata is like losing a distant uncle who you never really see in person, but who always sends you a gift for your birthday to show you he's been thinking about you." Iwata cared for the fans and was always upfront. Unlike so many corporate bigwigs who put on a false image that they are something greater than what they are, Iwata never tried to hide the fact he was fundamentally human. What other companies would consider "weakness" was Iwata's greatest strength: humility, and acknowledging shortcomings with a sincere, "please understand." Outstanding programmer, a friendly face of the company, but the man severely lacked the skill of a businessman to be honest. R.I.P. though. I can't believe it has been this long since that day. Simply the most UNFORGETTABLE person of the industry EVER ! I owe everything to Iwata san about my job of today. He is my master, an inspiration and a really adorable man in the purest expression. I hug you through my mind Iwata sama... unlimited respect for you. RIP Mr. Iwata. Thanks for so much fun, we'll never forget you! He deserved to see the success that the Switch is today. I always got the impression he suffered because the U 'failed'. Couldn't said it any better myself. Also I agree about the Direct losing its charm when he passed away. I still wanna see the skits with Reggie, Bill and Shiggy come back. There will never be another Iwata. He loved Nintendo, he loved his job, he loved computer games and we loved him. Gone far too soon, but he brought joy to millions of people lives. I will always remember Mr. Iwata. He holds a special place in my gamer heart, and I think in most Nintendo fans. I hope Nintendo Life keeps paying tribute to him, every year. I'll never forget the video of Mr Iwata unboxing the Wii U. It was a thing of beauty how he addressed the camera and you could see how excited he was to show the world. The man will live long as a Legend in my eyes, and my heart. I really miss this guy. He was such a humble and pleasant person. I wish he could’ve seen Nintendo financially turn things around with the Switch. I was so sad to hear about this. I've added him to list of people I felt close to even though I didn't know just like Steve Irwin or Robin Williams. Guys don't you think it's an odd coincidence, he passed on July which is the seventh month and if you count 4 from the number seven you also get the date and count 4 from that you get the year. I thought that was very odd. Besides the fact that he loved his job and bringing great games to the world, one of the most humbling things he ever did was take a pay cut (with Miyamoto) when the Wii U took a hit on the company. I'm from the States and I can tell you that the CEO's here would rather jump off a cliff than do something like that. If you're in America and you ruin a company, you just get a golden parachute and ride off into the sunset while the workers have to pick up the pieces. That just really shows his character and charisma. What a leader, seriously. An utter shame that one of the last things he had to deal with was calming everyone down after the dreadful E3 2015, but it is what it is. I really wish he could have at least seen the immediate success of the Switch, his last gift to us ended up being his swan song. This article was not really necessary (it would had been more suitable for a feature similar to a "Today in History" feature for a certain organization specialized in news named the Associated Press, though). Thank you, Mr. Iwata. You will be dearly missed. Thanks for playing Mr Iwata and RIP. You are a genius that shines through the halls of Nintendo's All-Stars. You are greatly missed and thank you for keeping Nintendo true to its core! Wow, time really does fly. Like many have said, it all still seems so recent, and it certainly does still seem to have an impact on people. He was a great man: smart, social, funny, and above all: humble, and he is still missed, by many, many people. On a side note: I do always find it weird to label years of people's passing as "anniversary", seeing as there's hardly anything to celebrate. Although, of course, in other cultures, that is exactly what people do: instead of mourning a person's death, they celebrate the live that they had and the person that they were, so in that way, it's actually a bit more fitting, and actually quite a nice way to keep someone in memory. Thanks for all the good times and great gaming memories, Iwata-san. @ThanosReXXX Keep in mind, anniversary, does not mean party or celebrate. People DO celebrate certain anniversary, but, all it means, is, it's the next occurrence, of the date, of a specific occurrence. That said, there is so much to celebrate, about this awesome person, and his amazing life, in the business we love. @PLAYwithGregg For clarity's sake: I'm an American living in the Netherlands, and my native English-speaking/thinking mind has been contaminated/influenced by many languages, because I also traveled around in Europe. In the Netherlands, there is no separate meaning to "anniversary", so it always means "celebrating a year". As such, they don't use it in relation to people's passing. The phrasing they use, although not directly translatable, is more something along the lines of "we honor/remember this person's dying day". Rest In Peace Iwata-denka. Thanks for your hard work and the memories. Still remember the disbelief when I heard the news. It was around as shocking as when I heard that Robin Williams, Prince, or Whitney Houston had passed. He really made magic happen with the Wii release (possibly the greatest comeback the industry has ever seen), and it's a shame that he wasn't here last year to bask in the Switch proving doubters wrong once again and defying the odds. It still seems like yesterday. It's amazing how his idea of being |DIRECT| to us, really did connect us to him in unimaginable ways, for so many to have felt his death personally. Were it the leader of Sony or Microsoft, or Activision, or Nestle, or Walmart even the most ardent of fans would neither know nor care. He managed to connect with all his customers, personally. That's an exceptionally rare talent. @Not_Soos All very well said, and very well related. Indeed I think I almost dislike Nintendo Directs now. They're just PR messages and announcements. With Iwata, they were events and personal messages. Everything he made them to be seems to have faded into being a commercial now...drowned in corporate planning and focus groups. Koizumi indeed embodies the same spirit, and I feel heartened when those closest to him, Sakurai, Ishihara, Masuda, flash a quick |DIRECT| hand gesture in their segments....an acknowledgement that his ideas are still part of it. But so few acknowledge it today. E3 was missing Koizumi which I think hurt it (and Takahashi just doesn't have it), and I was hoping he would become more influential than the bean counter now moving into Iwata's office. There are a few people at Nintendo, the above mentioned, Miyamoto, of course, some others that embody the spirit of Nintendo, but I do at times fear that what made Nintendo will become more steadily lost without him, and will blend into becoming just another corporation. @MegaTen "lacked the skill of a businessman" his errors in the late Wii and through the WiiU era are known, and he acknowledged the error of the late Wii era directly, but it's hard to look at the guy responsible for the success of the Wii, DS, and 3DS, and the development of the Switch and acquisition of DeNA as "lacking business skills." Yes, he was unwilling to succomb to ruthlessness in business. Which is both a credit to his character, and merely an indication that the lessons of Yamauchi's ruthless business failures and the cost to the company were learned, both by himself and by Yamauchi (the man with mob-like business skills.) People all seem to forget that Yamauchi was still a controlling member of the board through early WiiU era. The old business shark also signed off on the WiiU. It wasn't purely an Iwata failing but a company-wide one. It's sad and bizzarre that BOTH of the legendary leaders of the company died within years of each other during the lowest years of the company. @Mario500 An article on a Nintendo site for the anniversary of the passing of the well known, well loved leader of Nintendo who influenced both the games, company, was the executive producer of many of the games on Switch (such as today's other article, Captain Toad's Treasure Tracker), and lead the product concept design for generations of hardware, including the Switch and 3DS, the two current hardware models we're here talking about, is the co-creator of Super Smash Bros. the game this E3 was dedicated to which will become the #1 discussion on this site by December, and who influenced not just Nintendo but many generations of games, game design, and the industry at large, even among competitors and enemies. Yes, that really deserves an article. In an industry were everyone's a rock star these days, it takes someone truly amazing to become a legend. Rest assured, we are unlikely to see anyone of his influence and stature in the industry again in our lifetimes, short of, of course, Miyamoto. @Shiryu That clip remains both heartwarming and difficult to watch still. 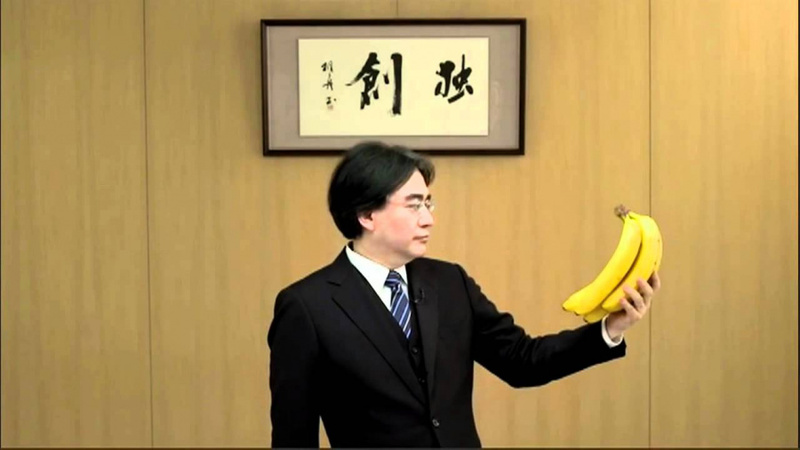 It's this little snapshot of the perfect moment of Iwata being Iwata. @ThanosReXXX Dictionary meanings aside, technically anniversary never really suggests a celebration in English but just a marker of time per annum. It's fairly neutral in positive/negative connotation, at least colloquially. The Nintendo Directs just haven't been the same since his passing. I miss his charisma and zaniness. He wasn't just another suit to me; he seemed to genuinely care about the people, not the paycheck. @NEStalgia I wasn't talking about it's English meaning, but how it translates into Dutch, and as I am by now so accustomed to that language, the word translates to me as I have described. Something learned/seen cannot be unlearned/unseen, and as such, it just feels odd to me, which is why I felt the need to write that down as a side note. @MegaTen Seeing how successful the DS and Wii in his time, I strongly disagree with your latter statement. One failure does not define one's overall skill. Everybody has their ups and downs. You shall be missed, Iwata-san! Thank you for everything. A true hero to the gaming industry, up there with the likes of Gunpei Yokoi. @Not_Soos That was beautiful, dude. Genuinely brought tears to my eyes. I think Nintendo kind of died with him in my heart. I had lost interest in Nintendo when the PS1 came along but Iwata brought me back with his vision for the Wii and DS, and then the WiiU (which I still adore). But since he died, Nintendo just seems like any other business now. And any attempt they make to recreate Iwata's warmth feels really forced. When I look at the Wii, WiiU, DS and 3DS I see Iwata. When I look at the Switch I just see a hunk of plastic. Maybe that's why it never clicked with me. What a beautiful human being who’s life touched all of us in a very special way. Always missed, never forgotten! Much love Mr. Iwata! His passing was one that actually hit me emotionally, and that's super rare. RIP Mr. Iwata. @KingdomHeartsFan Thanks, man. I'm touched someone was so touched by my words, lol.